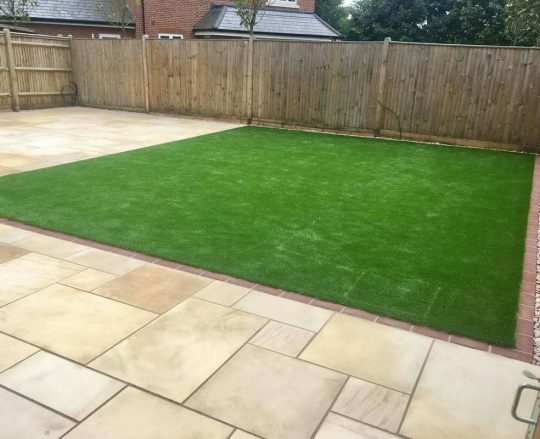 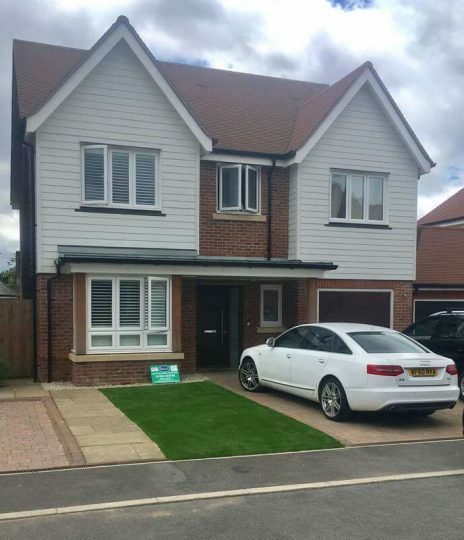 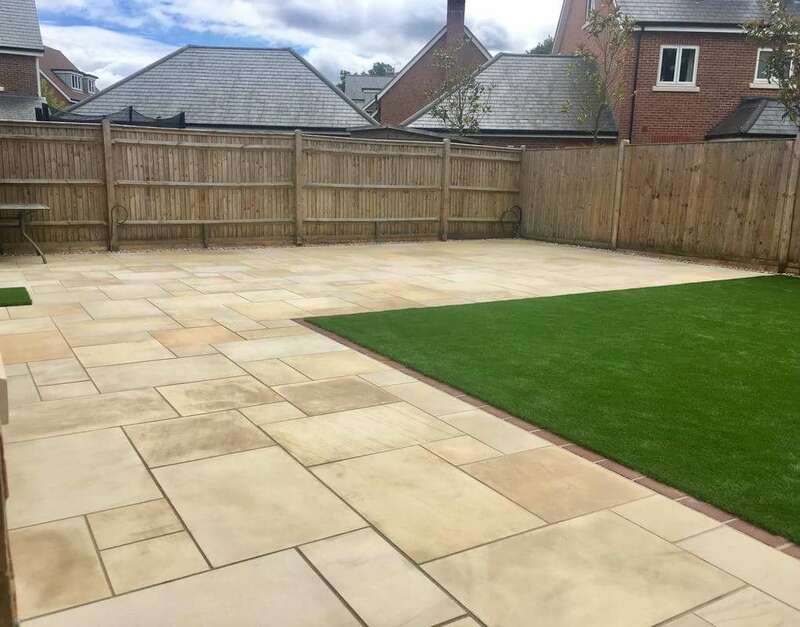 Front and Rear Artificial Lawns, plus large area of Sawn Sandstone Paving. 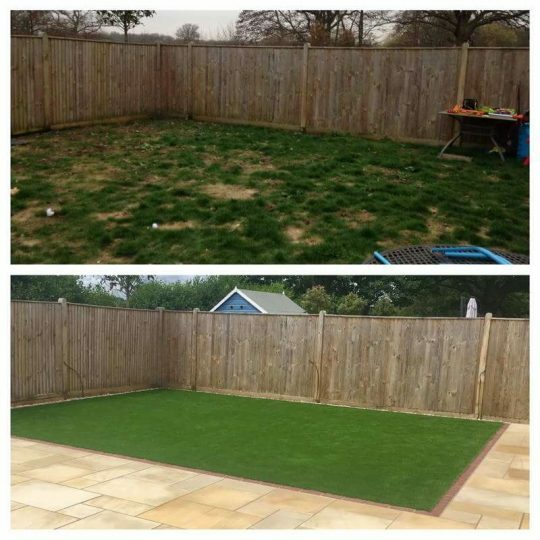 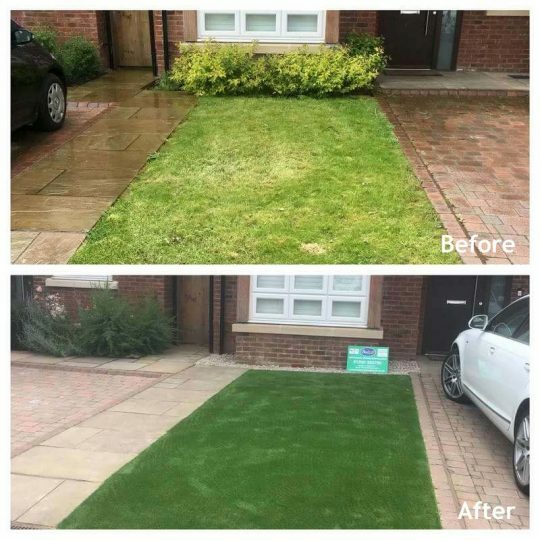 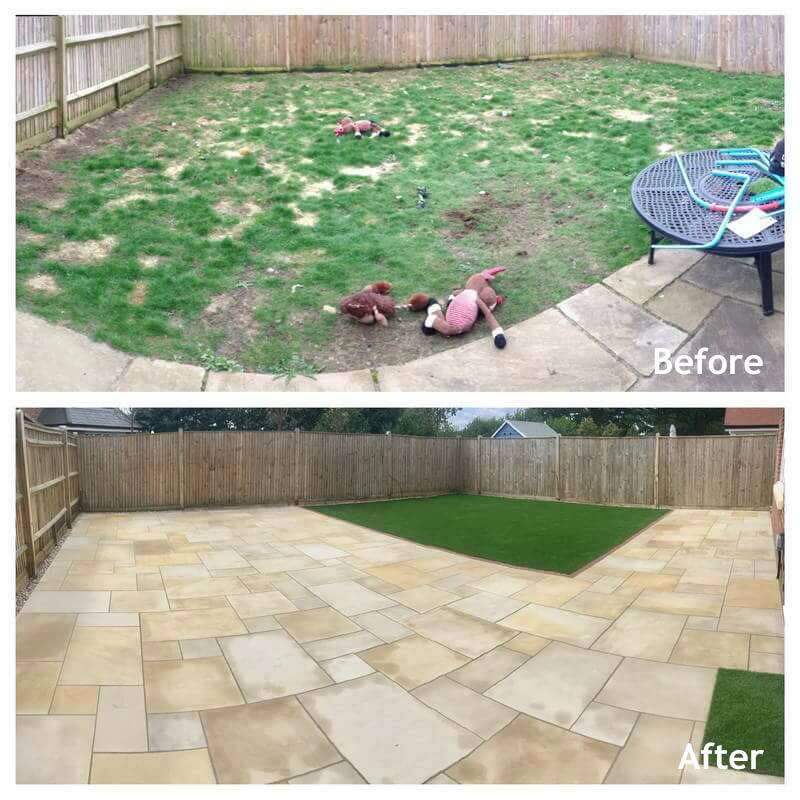 With 2 large dogs, a young child and not being ‘green fingered’, our clients asked us to create low maintenance front and rear gardens. 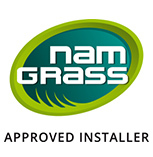 We utilised the fresh B2B35 lawns and contemporary Sunset Sawn Sandstone Paving to do this, with superb results.